It is easy for a musical instrument company to say that they have the best instruments in the market. So is the case of Arcadia. But it is not the fish that decides whether it is good or not; it is the fisherman, for real. 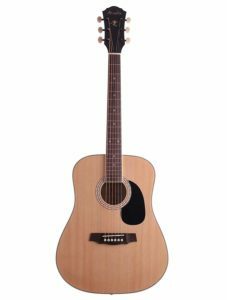 The Arcadia DL36NA is regarded by the maker itself as the “best playing, best sounding acoustic guitar” for beginners and advanced players. That is a bold statement right there, folks. In reality, does it really live up to this ballsy claim? Let’s find out. The Arcadia DL36NA is a parlor acoustic guitar that is available in three finishes: black, natural, and tobacco sunburst. Judging by its looks, you can immediately tell that the guitar is worth more than its price tag. It is gorgeous and classy from back to the front. This guitar has a spruce top and linden back and sides. The fingerboard and the bridge are made of standard rosewood. The neck is made of lauan that is hand-sanded to achieve that smooth and comfortable texture. It has a deluxe black-back die-cast tuning machines on the headstock which is designed to prevent constant slipping. But good looks will only get you so far. 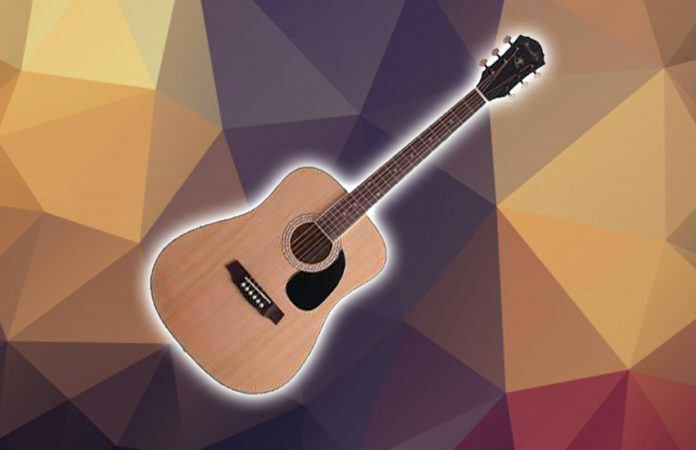 Hunting for the most suitable acoustic guitar requires looking beyond the looks. The strong internal bracing helps support the guitar’s stability and resonance, the same way that the spruce top supports the balance of tone and projection. 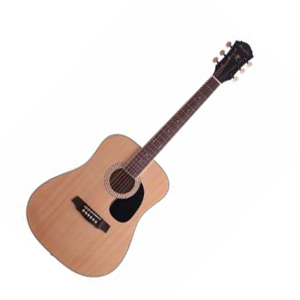 It has a double-action truss rod and an ivory abs binding. The strings, however, are a snag. They are the average steel strings that you have to tune to sound good. If you know nothing about tuning, you might have to take it to a luthier or a guitar technician before you can use enjoy it. In terms of sound, the Arcadia DL36NA boasts a balance between tone and projection which, if done wrong, is a deal-breaker for pro players when finding mid-range and high-end acoustic guitars. Out of the box, the Arcadia DL36NA comes with a clip-on digital tuner, a pick, an extra set of strings, a gig bag, and more. Not bad at all. The Verdict: Should You Buy Arcadia DL36NA? To be very honest, Arcadia has gone overboard with their “best playing, best sounding acoustic guitar” statement. You need to take it with a grain of salt. But in this price range, the craftsmanship, sound, and construction are pretty decent, so we will let that go. If you want to get the Arcadia DL36NA, we suggest having its strings replaced as well as the saddle and nut to make the most out of it. If you are buying for your kid who is still learning the basics, it should do just fine with some tiny tweaks. For sure, the Arcadia DL36NA acoustic guitar is not perfect, not even close. Nonetheless, when it comes to value for money, you really can’t complain.